The world's only heart rate monitor with an Interactive Personal Trainer built in. Need some encouragement to achieve the results you desire? 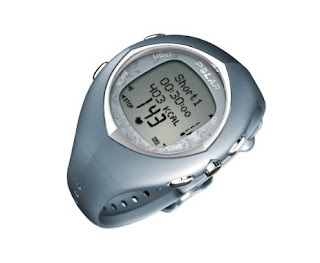 The Polar F11 Women's Heart Rate Monitor Watch comes with an interactive personal trainer built right in! 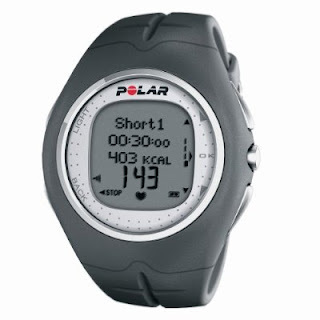 The Polar F11 heart rate monitor provides you with a multi-purpose heart rate monitor that combines cardiovascular exercise, calorie burn, Keeps U Fit training program, fitness tests, and a relaxation program. All training data can be uploaded to the Polar Persona trainer website. Memory files in F11 store up to 12 exercise sessions. OwnZone® Advanced feature takes the guesswork out of finding your personalized target zone. OwnCal® feature counts calories and fat burned based on your own effort level.